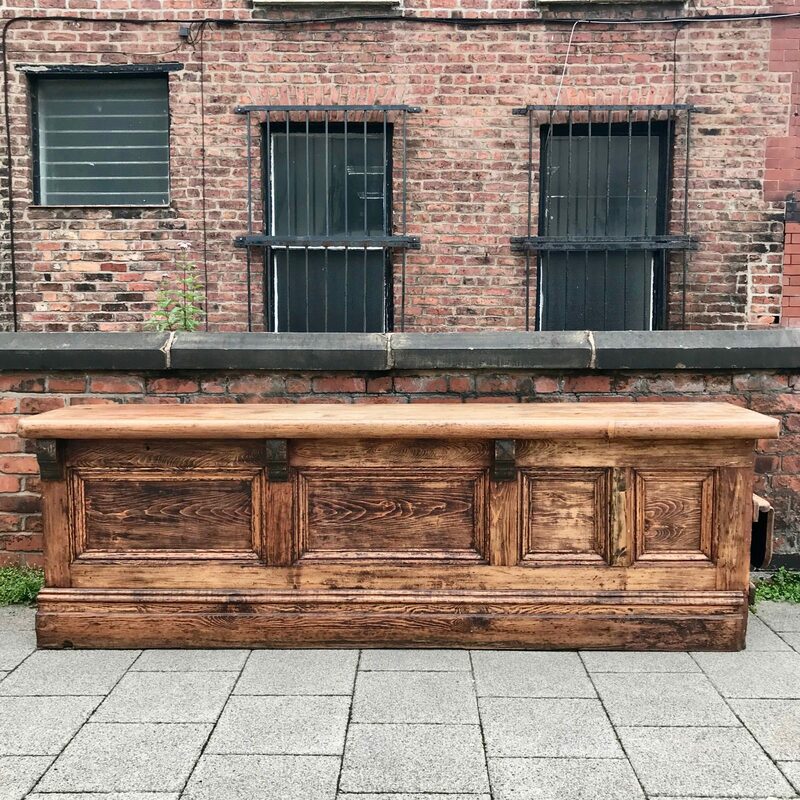 Large solid pine Victorian shop counter made in 1897 and salvaged from its original shop in Stockport. The right hand side features a fold out seat. It has been sympathetically restored by removing the worn varnish removed and then a waxed finish. It has a natural patina that has developed over time. The inside can be adapted to suit own functional use. A solid piece in good condition with lots of history and character.